From the very good 2006 vintage and scoring 89/100 Parker points, "This 100% Semillon made from relatively young vines in the Haut-Brion vineyard is crisp, steely, with plenty of grapefruit, lemon zest, and white currants in a medium-bodied, fresh, lively style." Drink now - 2021. 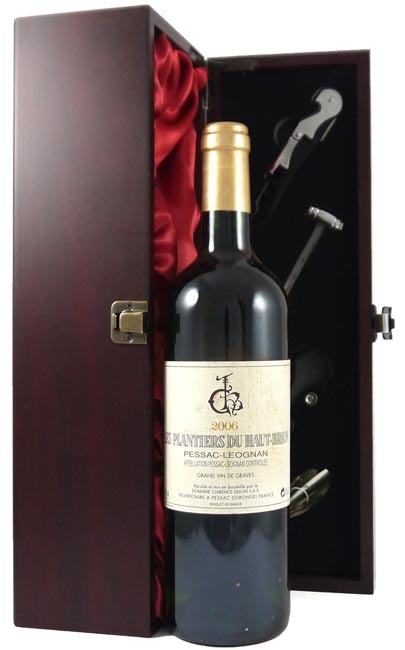 This vintage wine is shipped in a deluxe silk lined wooden presentation box with four wine accessories (corkscrew, wine pourer, drip stopper & wine thermometer) [worth £17.99] at no extra cost and now includes a free gift card with your personal message and tasting and storage notes. .